With Dodge, you're driving on another level. Owners know first-hand what being behind the wheel of true, long-lasting, capable vehicles feels like. 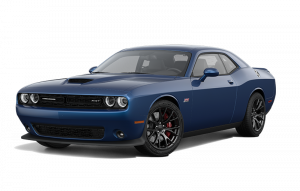 Whether you're already part of the satisfied and growing Dodge family or are looking to try one out and see what the fuss is about, you've come to the right place at Milton Chrysler - the premier Dodge dealership near Mississauga. 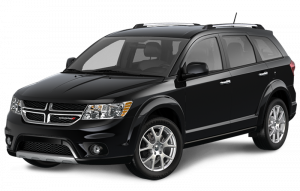 We offer an amazing selection of prime Dodge vehicles, serving the greater Milton and Mississauga area and beyond. We're just a short drive away from where you are, so stopping by to see our incredible deals is always worth the trip! 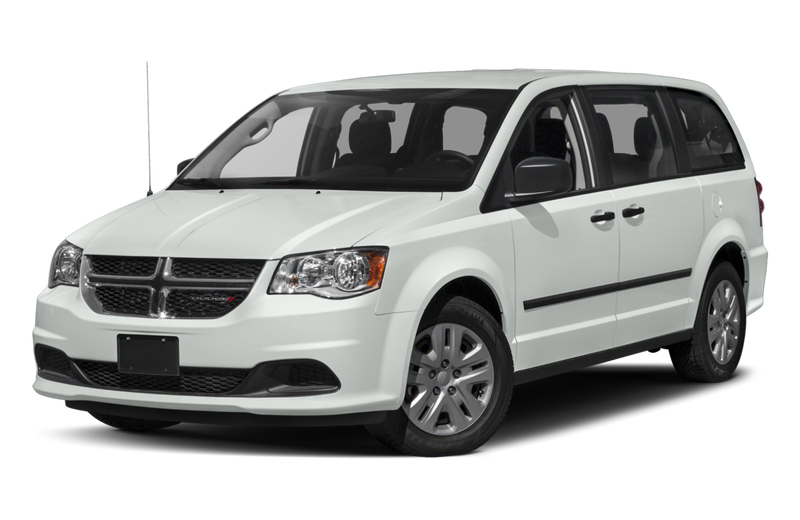 Whether your needs require the thunder of the Charger, the pure style of the Challenger, the family size of the Grand Caravan, the versatility of the Journey or the raw muscle of a RAM, we've got you covered at Milton Chrysler. If we don't have the right vehicle for you, it simply hasn't been invented yet. Take a look at our incredible inventory, easily browsed through from our user-friendly website, where you can find the right car with your exact specifications. If you're not finding what you're looking for, or aren't sure what might best fit your lifestyle needs, don't hesitate to contact us and we'll be more than happy to assist you with information on current and upcoming stock, available additions, financing options and trade-in valuations. 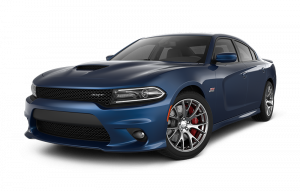 So when you're ready for your very own Dodge, book a test drive with us at Milton Chrysler and discover why so many drivers from Mississauga make us their Dodge dealership! Car Shopping Made Easy with CarFinder! It's not often, but it happens-you go through our website and just can't find the right vehicle. You know exactly what you want, but you don't have time to check over and over again for new inventory just to see if your ideal car has come in yet. That's ok! With CarFinder, we do the work for you. Simply fill in the details of what you have your heart set on, and we'll get right back to you as soon as it hits our inventory. You sit back, and we'll take care of it for you! We know shopping for your next car, truck, minivan or SUV can be stressful, especially if you're feeling pushed into a sale. At Milton Chrysler, we go your pace, at your comfort level-no pressure. We are happy to assist you with making your decision, while putting your needs first and foremost. 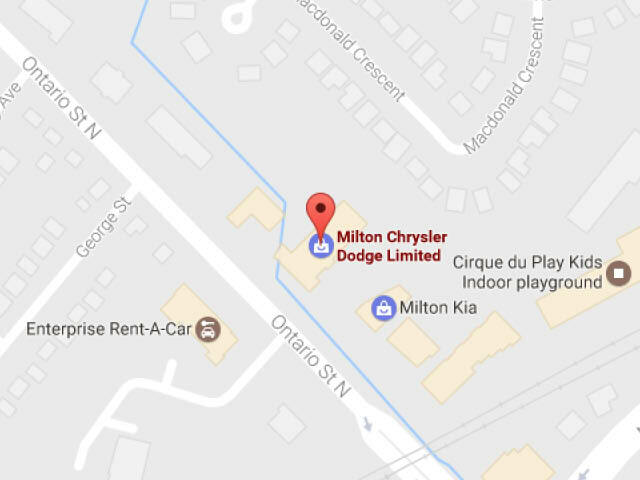 So shop with Milton Chrysler, worry-free, at your convenience, and experience the friendliest Dodge dealership near Mississauga. In Southern Ontario, you certainly don't want for choice when it comes to car dealerships. This works in your favour, because with so much competition, we are constantly striving to stay one step ahead, working harder to be the best. That's why Milton Chrysler has the sharpest deals in town, hands down. View our selection online or get in touch with us, and you're sure to find an irresistible deal! Come and Spark a Passion for Dodge! We love Dodge, there's no denying it. We know Dodge vehicles from top to bottom, and we're always excited to see what new models bring to the table. We share this passion with every customer that steps onto our lot, and know that a satisfied Dodge owner is a customer for life. If you're not part of the Dodge family yet, come try out out today and discover the driving experience you didn't know you could have-the driving experience you deserve.